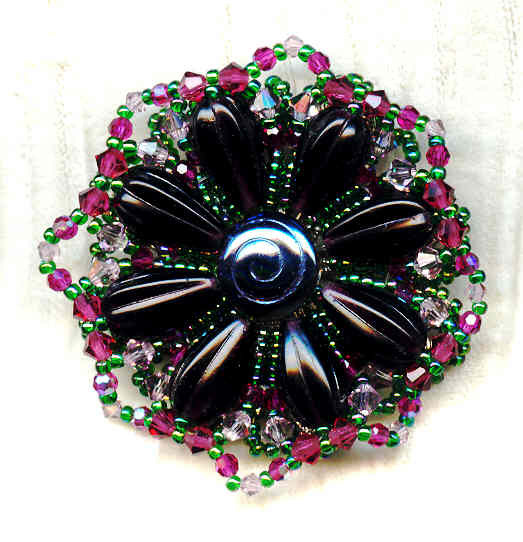 It's made with Swarovski light amethyst and fuchsia crystals, Czech amethyst fluted glass drops and a swirled round centre. I've hand-stitched the beads to the brooch pin using clear monofiliment and dark green iridescent seed beads. 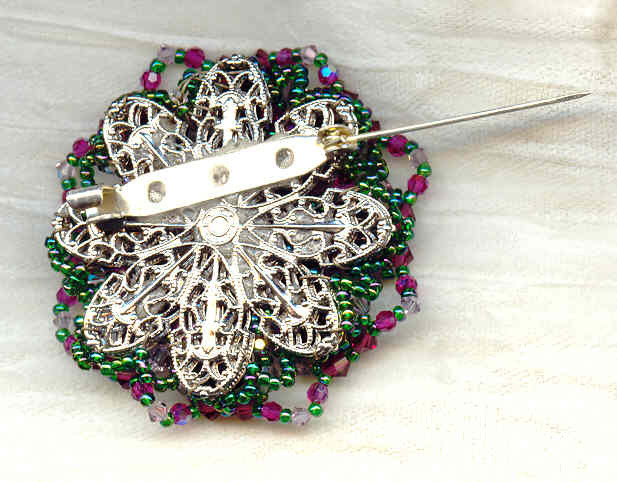 The result is a ruffled flower brooch pin that is sturdy, beautiful, and utterly unique. Grab this HOT fashion item while it lasts! 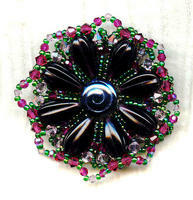 It's another one of a kind brooch pin from SPARKLE PLENTY.